You are a family caregiver; burned out, exhausted and angry. You cannot possibly do more for your loved one. You want to decrease time spent in caregiving activities. You look back and wonder how care needs advanced so quickly. You ask yourself why you failed to express concern that you would not be able to keep up the pace between being a family caregiver and holding down a full time job. You are the person at work who takes the extra shifts, who pitches in whenever help is needed. You never complain. Whether you are a caregiver at home or a caring type at work it may be time to look at how your actions are contributing to this situation of burnout and frustration. The effects of caregiver burnout are significant and will impact your life if not now; then at some point in the future. 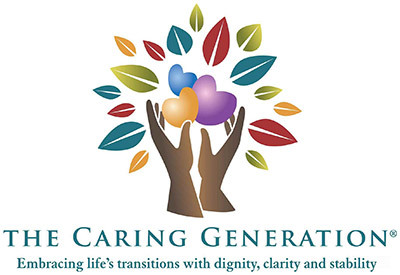 It is well documented that caregiving results in chronic disease and poor health. 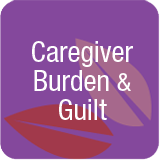 Many of the caregiver burnout situations I navigate result from the caregiver taking on too much work but not realizing this has occurred until the responsibility has been ongoing for some time. In the workplace this is the situation where you feel you are the only one who is able to complete certain tasks or projects. You have allowed this to happen so frequently that others depend on you to rescue them. You created the situation and finally realize being the “go to” person is not a sustainable role long term. Caregiving begins innocently and with good intentions. The caregiver feels a sense of duty and dedication. The situation proceeds to the primary caregiver or caring type at work wanting total control over the person or project. The same caregiver then feels that other family members, caregivers or co-workers are not carrying their weight, so they push others away. In the workplace the person doing this initially feels important; their feathers ruffle like a proud peacock, because they consistently leap tall buildings. Over time this feeling wanes to one of anger. Burnout results from a need to control by an individual or caregiver who wants to feel that they are indispensable. I hear, “no one cares as much as me.” “No one will do for my loved one the things I will do.” The conversation goes on and on, no one this, no one that. These are toxic thoughts. Caregivers it is unhealthy for you to think that you as one person, the caregiver, can or should meet all the needs of any single person. Stop! You are placing your health at risk and making everyone else miserable, including your loved one who feels you are overbearing but remains silent for fear of retribution. You are the person at work who everyone will take advantage of because you’ve created the situation by always being helpful. You are the bully in this drama you have created all by yourself. Family caregivers experiencing extreme stress have been shown to age prematurely. Caring for a loved one can shorten life by as much as ten years.1 Elderly spousal caregivers with a chronic illness are 63% more likely to die than their non caregiving peers.2 Being the hero in this drama will negatively affect your life, if not now, later when you are in the place of the person for whom you’re providing care. You are stressed because you are experiencing grief associated with the decline in health of your loved one. Your feelings are valid. One day you were the son, the daughter, the husband or wife. The next day you are the caregiver dealing with the change in role with your loved one. In the workplace you started out as an equal and now you’re the doormat that everyone walks over. In life it is the little things that catch us, snag us because we lose perspective of the larger picture. Take the first step to acknowledging that you are in an unsustainable situation. Remove yourself from caregiving for an afternoon, a day or a week. Ask yourself how did the situation come to be? Seek counseling if you truly feel you are unable to remove yourself as you may have tendencies of being needed or becoming dependent on others for approval which are unhealthy. Take action to change the current situation so that you can become a more balanced person who cares and not a burned out, exhausted and angry caregiver or co-worker. Your attitude shows. References: (1) U.S. Department of Health and Human Services, Informal Caregiving: Compassion in Action. Washington, DC: 1998, and National Family Caregivers Association, Random Sample Survey of Family Caregivers, summer 2000, Unpublished) (2) Drs. Janice-Kiecolt Glaser and Ronald Glaser, “Chronic stress and age-related increases in the proinflammatory cytokine IL-6.” Proceedings of the National Academy of Sciences, June 30, 2003. 2) Source: Arno, Peter S., “Economic Value of Informal Caregiving,” presented at the Care Coordination and the Caregiving Forum, Dept. of Veterans Affairs, NIH, Bethesda, MD, January 25-27, 2006. © 2009, 2012, 2013, 2014 Pamela D. Wilson. All Rights Reserved.